detention of students ahead of a summit which was to be addressed by Dalit activist Jignesh Mevani and JNU student leader Umar Khalid. Chavan, a member of the Maharashtra Legislative Council, sought to know why action was taken against the students while those responsible for the 1 January violence in Pune were not arrested. MLC Kapil Patil, Allahabad University student leader Richa Singh and Jawaharlal Nehru University (JNU) student leader Pradip Narwal. "MLC Kapil Patil and students from different parts of the state were detained. 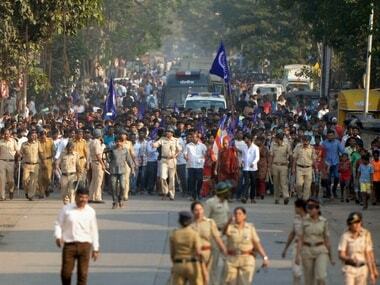 This is not done," Chavan told reporters outside the Bhaidas hall. She also demanded the arrest of right wing leaders Sambhaji Bhide and Milind Ekbote who, she alleged, were behind the violence at Bhima Koregaon in Pune three days back. Violence erupted in Pune district on 1 January when Dalit groups were celebrating the bicentenary of the Bhima-Koregaon battle in which the forces of the British East India Company defeated the Peshwa's Army.